October 4, 2018 – 6:00 p.m.
Peter Wasmer will explain the need to prioritize the performance of necessary repairs and improvements to projects and to work within the framework of project management practices established by the Asset and Facility Management Department of Mecklenburg County. a. Barnhardt House, 3217 Maymont Place, Charlotte, N.C.
Repair of the house continues. The architectural shingle roof is installed. An electrician visited the house but declined to do work because of extensive mold in the basement. Staff also requested a proposal from a landscaper to suggest improvements to the grounds. A copy of the proposal is attached. Additional repairs to the house are required. 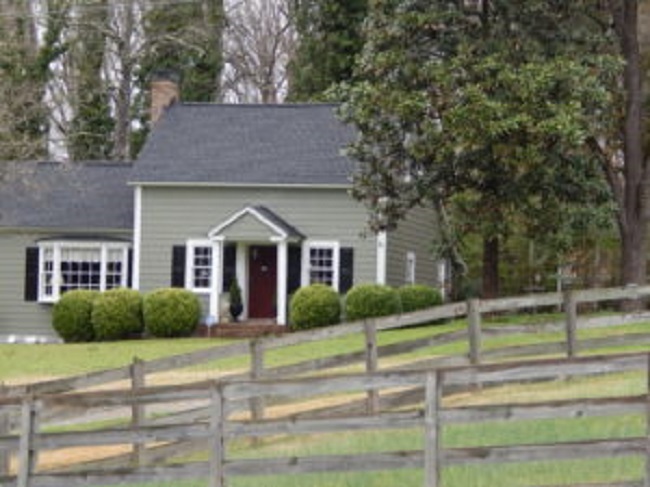 b. Ingleside, 7225 Bud Henderson Road, Huntersville, N.C. The Historic Landmarks Commission has purchased Ingleside. Peter Wasmer will oversee necessary repairs, including repairing the roof and assuring the functioning of the well. Staff has received an inquiry from a party stating their interest in purchasing the house as a residence. Staff anticipates the prospective buyer will visit the house in October. Preservation North Carolina and the Historic Landmarks Commission will be co-sponsoring an open house – PNC fundraising event at Ingleside on December 2nd. HLC Staff continues to believe that the sale of Ingleside should be carefully considered. Specifically, Staff believes that the sale should result in a use of the house that provides the greatest opportunity for the long-term preservation of Ingleside. Toward this end Staff met with Jack Simoneau, Huntersville Planner, and Anthony Roberts, Huntersville Town Manager. Simoneau and Roberts understood that the current Transitional Zoning of the property might be too restrictive. They recommended that the HLC hold an Ingleside Stakeholders Meeting at Ingleside in preparation for submitting a request for a text amendment to the zoning ordinance. Staff has asked Jennifer Coots to serve as a Consultant to assist Staff in making preparations for the Stakeholders Event. Her proposal and biography are attached. Staff is recommending that the Projects Committee recommend to the Historic Landmarks Commission that it approve the expenditure of $5,000 for the preparation of a National Register of Historic Places Nomination Form for Ingleside. 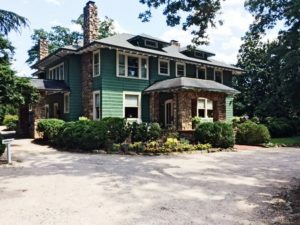 c. McConnell House, 4009 Beatties Ford Road, Charlotte, N.C.
Sandy Carnegie and Staff participated in a conference telephone call with officials of Martin Marietta, owner of the McConnell House. 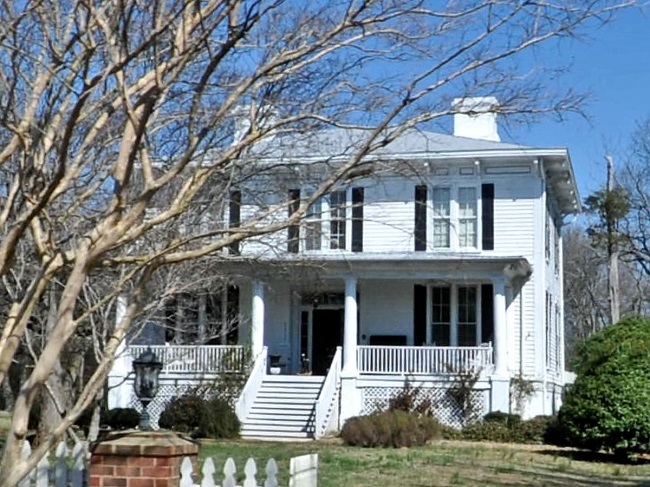 The owner agreed to consider allowing the house to be preserved at the present site. The owner is not interested in pursuing the signing of an option to purchase. Staff anticipates hearing from Martin Marietta in early October. 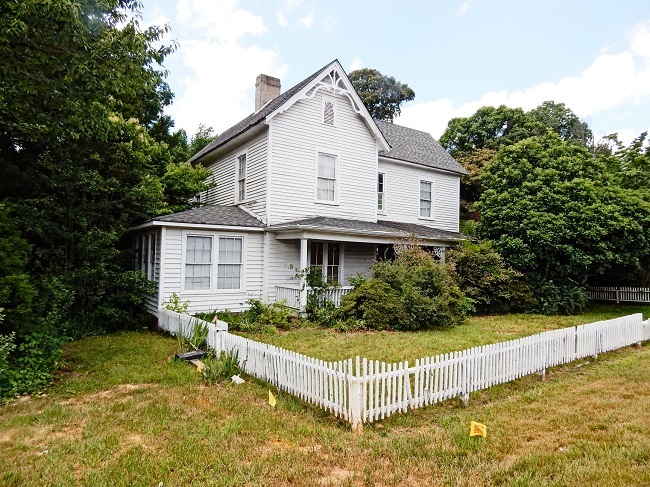 d. Wallace House, 9425 Robinson Church Road, Charlotte, N.C.
City Council is scheduled to vote in October on the designation of the Wallace House as a historic landmark. The Historic Landmarks Commission is scheduled to close on the property in late October or early November. The Environment Assessment Study on the property identified a possible environmental hazard produced by a refuse dump on the property. Sandy Carnegie has recommended that this potential hazard needs to be investigated further. Staff awaits direction. e. James C. Dowd House and Former Charlotte Fire Station No. 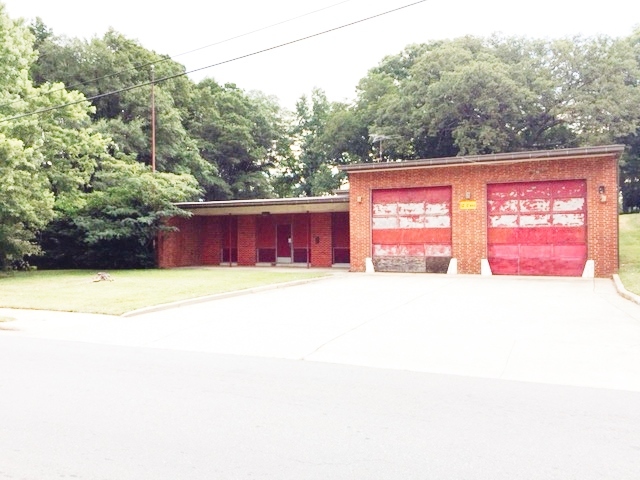 10, 2216 Monument Street and 2136 Remount Road, Charlotte, N.C.
Mecklenburg County has distributed a Request For Qualifications to prospective buyers of the two properties. The County is awaiting responses. The involvement of the Historic Landmarks Commission in this process will initially involve participation in the review of submitted proposals. 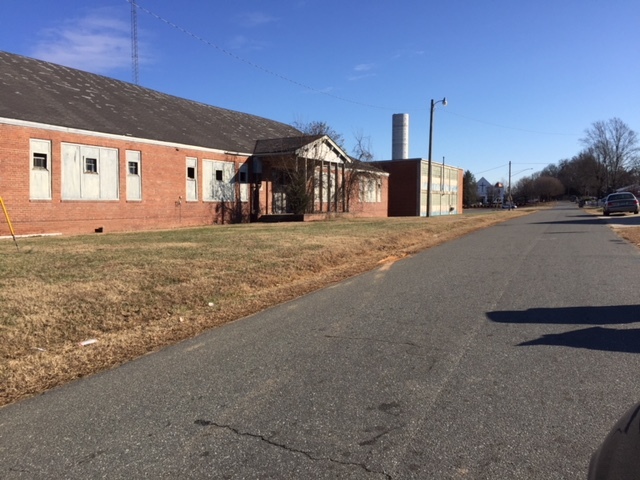 f. Torrence Lytle School, 302 Holbrooks Road, Huntersville, N.C.
Staff has solicited an assessment of the marketability of the property by an official of Laurel Street Developers. Staff is awaiting a report. Staff has discussed the future status of Streetcar Number One with officials of Charlotte Trolley, the current owner. The US-built streetcar operated in Greece until the 1980s when it was purchased and brought to Charlotte. It is now housed at the North Carolina Transportation Museum in Spencer. 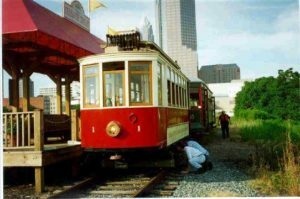 Charlotte Trolley in the near future will most likely propose that ownership of the trolley be transferred to the HLC. This will require the car to be processed for historic landmark designation. Staff has agreed to prepare a Survey and Research Report on the trolley at no expense. The proposal will be that the HLC pay to transport Streetcar Number One to Charlotte and lease it to Lakewood Trolley under arrangements identical to the lease of Streetcar 85. I will most likely bring a proposal to the Projects Committee at a future meeting. 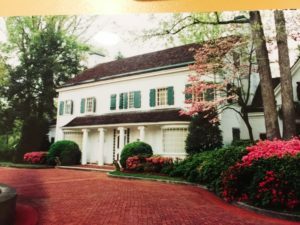 h. VanLandingham Estate, 2010 The Plaza, Charlotte, N.C. The owner of the VanLandingham Estate has received Certificates of Appropriateness for the demolition of VanLandingham Estate. One from the Historic Districts Commission for October and one from the Historic Landmarks Commission for November. The intentions of the owner are uncertain.